MY NEW NOVEL ORPHAN SISTERS IS OUT SEPT 2017! Dreams can come true. You know, like a REAL British summer identical to the one we now have. As well as that THING you have always wanted to do. Whether it’s start a business, write a book or become a master baker! Dreams have a way of resurfacing again and again, no matter how much we (or others) try to dampen them down or push them into a place we can’t access. As for me, I can’t live without mine and one of them was to get a book published. 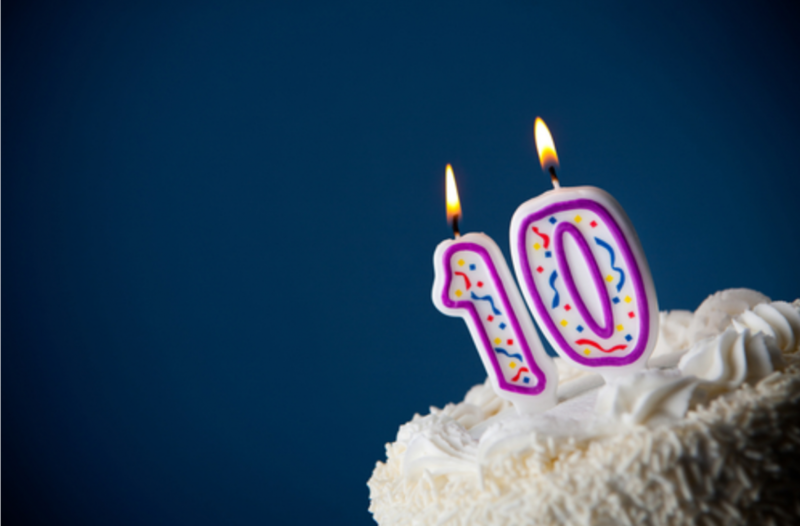 So here I am enjoying my tenth year as a PUBLISHED author. 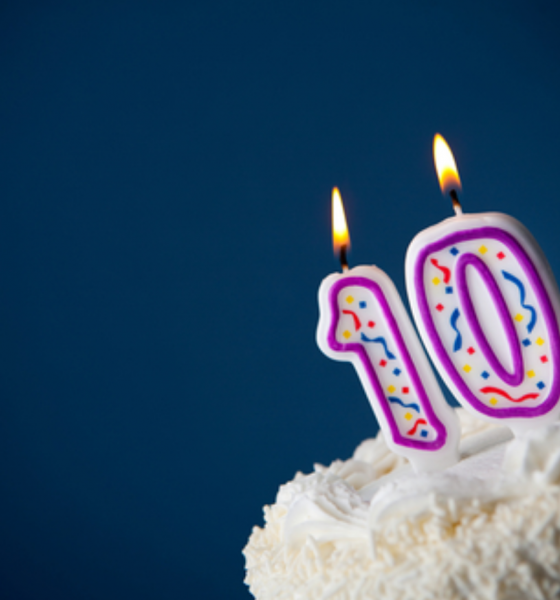 Yes, I wrote that in caps because being published ten years ago, doesn’t mean it was only ten years ago that my journey as a writer began. I was striving long before that time; writing for free, filing those rejection letters (and then emails) praying, waiting, and believing that one day, my time would come. And I will never forget the day I received the call from my agent that SOMEONE WANTED TO PUBLISH MY LITTLE BOOK! I thanked God and then proceeded to go into semi shock… and then I may have shed a tear. The book I had written in my PJ’s whilst watching a very special and inspirational episode of the Oprah Winfrey show was going to be shared with the world. I had never set out to write a tearjerker. Simply the story of a young girl (Lois) who loses her father and tries to connect with him through letters he has written to her. But it was a story I HAD to tell. Ironically, it wasn’t Lois’s story that was itching to be told- it was her father, Kevin who begged me day and night to tell his story. This character I had never met, who didn’t actually exist, yet was to become a huge part of my life via my book; By The Time You Read this. Kevin was a young man, taken down before his time. A man with hopes and dreams – the biggest one being, to see his little girl grow up. 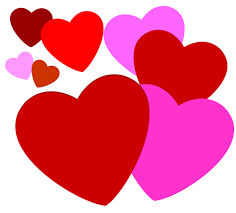 Although Kevin is a fictional character, I know there are many human beings around the world who have been in a similar position- gone before their time without having the chance to write to their love ones; to tell them they are loved; to teach them their version of the meaning of life and love. I have met, loved and lost such beautiful people and you may have too. Dear Kevin & Lois; Thank you for sharing your story with me. So many have read your story and I even got an email TODAY from the Philippines where you were mentioned. Your story has also appeared in the German, Korean and Serbian languages and according to the wonderful Harper Collins US team, your American cover was inspired by Barack and Sasha Obama. Even ten years later, your story is still available in paperback and is currently 99p on Kindle! I will never forget you, Lois and Kevin for getting that publishing ball roiling. 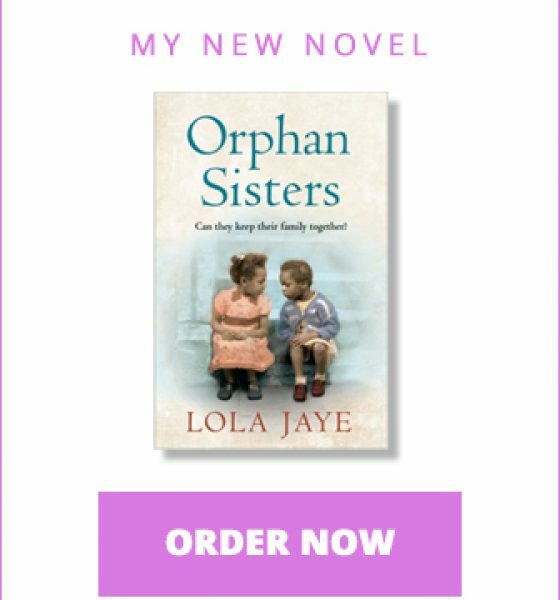 My latest book, Orphan Sisters (2017) is available to buy now. Orphan Sisters is out NOW! I hope you all had a wonderful Easter weekend. Is it me or is the year just flying by? I’m not just using this as an excuse for not writing my blog posts on time (OK maybe a bit) it just feels like it was only yesterday we were celebrating Christmas. It’s also six whole months since my fifth novel Orphan Sisters hit the shelves in paperback. 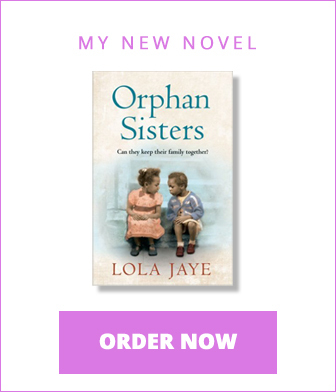 And if you enjoyed reading Orphan Sisters as much as I loved writing it, please leave a review HERE Reviews are mega helpful to authors and I also love hearing what readers think. It is also TEN YEARS this year since my first novel By The Time You Read This was published. I can’t believe it’s been a whole decade since a book I wrote in my pyjamas was published and translated into several languages including German, Korean and Serbian. It’s still available in paperback and is currently 99p on Kindle! I still get tingles thinking about that book! It’s been a while since my last post. Forgive me, I do have an excuse. I have been hard at work on my next novel which has the working title: Flower Girls and is due out this year. I’ve also been trying my hand at script writing and of course watching Netflix and catching up on my reading. At the moment I’m reading the wonderfully compelling The Brighton Mermaid by Dorothy Koomson which will be out in May. So, all in all- an action packed start to the bright and springy month of May. But alas, like this week, my blog post is short. …in all formats: ebook, hardback AND paperback! If you’re in the UK you can buy a copy at Tesco and Asda as well as Amazon and anywhere books are sold! 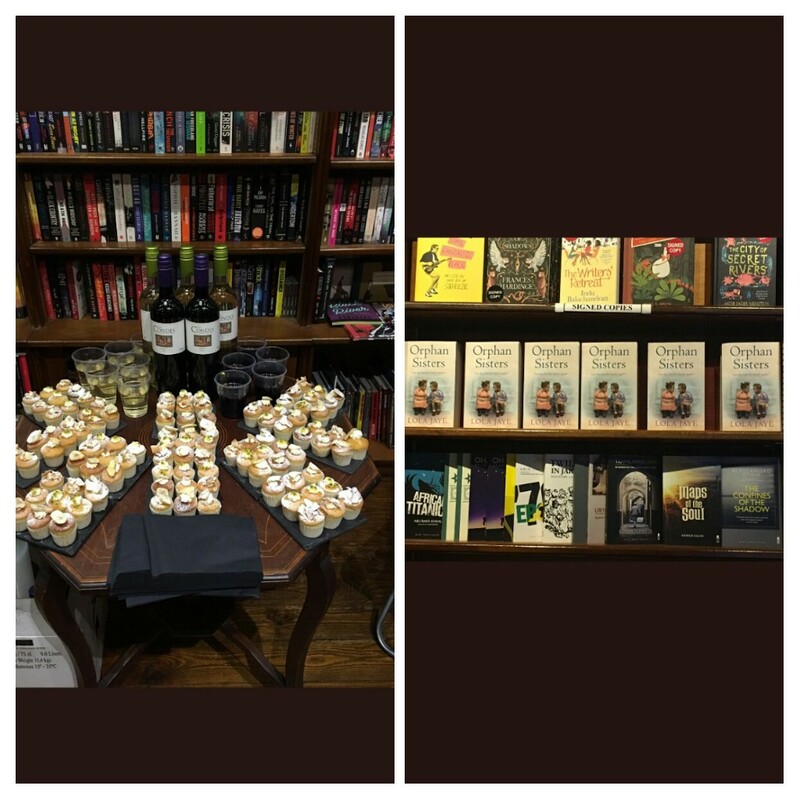 Last night I had a wonderful book launch at West End Lane Books in Hampstead. A wonderful gathering of family, friends and colleagues! I can’t download any more pictures at the moment because of a technical hitch, so please be patient! Their Nigerian parents have emigrated to England in search of a better life for their family. Nineteen Fifties London is a great adventure to the girls but not always welcoming. There are signs in windows of lodging houses warning: ‘no blacks, no dogs, no Irish’. How do I reacquaint myself with characters in a book I wrote well over two years ago. It all started when I flew off to Atlanta with two suitcases and a dream. 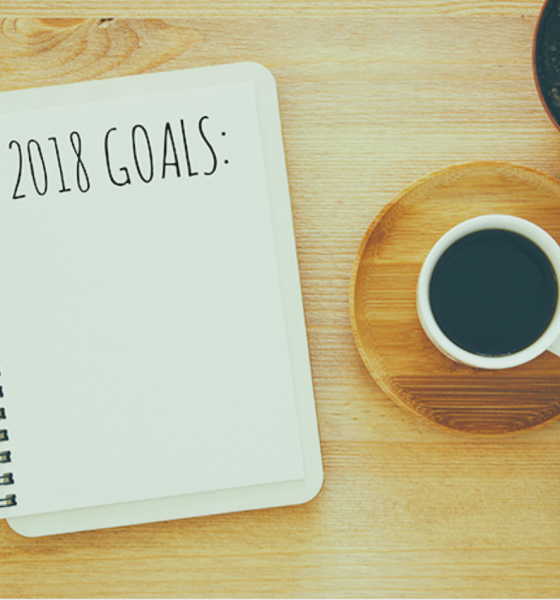 A dream to start and finish a novel, sell it and perhaps enjoy the southern sunshine and some chicken and waffles along the way. 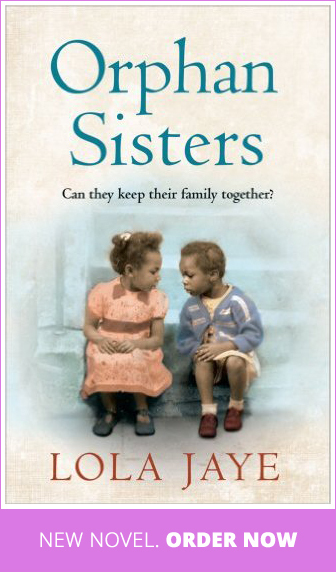 After MUCH procrastination and eating, I finally wrote the book and entitled it; ‘In Search Of Her Sisters.’ Most of my early titles only serve as a working title, so I didn’t get attached to the name, but did feel I was onto something with the story of these three orphans; daughters of Nigerian immigrants…. ‘Get on with the new one,’ was my agent’s terse response as she ignored my childlike petulance. Part of the reason we get on (apart from her being a brilliant and loyal agent) is that she takes no nonsense from me and is rather straightforward. Plus, she knows when to repeat a sentence. ‘Get on with the new one,’ she said. Again. After some metaphorical kicking and screaming, I did. Eventually. And I actually liked what I wrote and it allowed the sorrow of yet another unsold novel to sort of disappear. That’s the thing about being an author- you kind of have to get used to rejections. So many people think it ends the day you get published. Thoughts: My work? Why would this powerful industry player be liking my work? What am I- an author? Oh yeah, I have written and published 4 books during my brief history as a writer. Duh! What’s wrong with my brain?’ Perhaps I’m a little star struck sitting inside the offices of a publishing house. Yes. No, this was something more terrifying as in; I WAS TRYING TO REMEMBER THE BOOK. You know, the one she was talking about. The one I had written well over 2 years ago! I couldn’t even remember character X’s name let alone anything else. It had been two long years and 2.5 novels ago! I’d moved on. I was no longer the same girl, even my taste in shoes had changed. So all I could do was ‘umm’ and ‘ahh’ appropriately, hoping she wouldn’t make out the fraud in front of her. She probably would have if I hadn’t been honest. ‘I haven’t read the manuscript in two years… I may need a little time to reacquaint myself with the characters,’ I said in a posh accent that had also suddenly materialised. Of course she understood! And, phew! I knew it was better to avoid looking like an idiot in front of a very nice future editor. And after that moment of honesty, a relationship was sealed! After a two year break, I was still in love with my book!! So, let me introduce you to my OLD friends from my NEW book; Their names are Lana, May and Tina… the three characters of my soon to be published paperback novel, In Search Of Her Sisters… err no, sorry about that, it has a new title now: Orphan Sisters! Out NOW on E-book. The paperback is out September 21st. 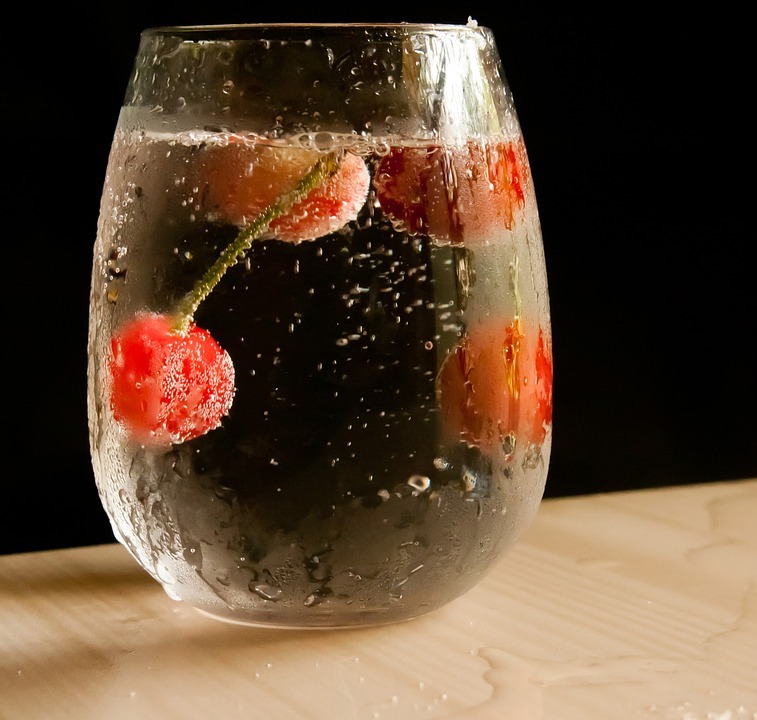 It’s been a while since I updated my blog, even though I promised to do it monthly. BUT I have an excuse! Within twelve weeks, I started and finished book SIX!!! (well, a rubbishy first draft that will almost disappear once I go over it with my red pen) But one hundred thousand words in three months nevertheless and a record for me! Plus, I even got showered and dressed, cooked a bit and managed to see friends! Yaay! Turned off all known devices like the pink smartphone aka the Pink Queen of Procrastination. Switched off Netflix, the satellite box and all other known devices that can beam 6 hundred boxsets into my working space. Stared at my computer some more. And I wrote again until I had achieved the word count of 2K that I had set myself (Unless I had a really good excuse like the solar eclipse or something, I would usually achieve the number). And of course, I had days off to do other things. Don’t worry if 2k seems a bit steep (some of us writers also have kids, dogs, demanding jobs- life stuff to deal with) just pick a number that works for you… but stick to it. As in, try not to fall below it but do of course, allow yourself to go over it. It feels so rewarding at the end of the day to realise that you actually did what you set out to do! Orphan Sisters is out TODAY! I’m serious. IT IS!! My first published novel in FIVE years, Orphan Sisters is out on pre- release TODAY! I mean the official release date of the mass market paperback is still 21st September 2017 but today the e-book is available to download! Yipeeeeeeee! It’s actually out there and I don’t think I can believe it! It’s been a long and emotional five years. I lost three members of my immediate family, left a job I had worked at for 12 years, moved countries and through it all, I carried on writing. One of the manuscripts I wrote during the first part of this hiatus was indeed Orphan Sisters. My agent at first did not find a home for it so I simply carried on writing. And writing. And writing. A few manuscripts later, Orphan Sisters was sold to Ebury at Penguin/ Random House, proving that as a writer anything can happen! So Orphan Sisters will finally get ‘her’ moment to shine whilst the other manuscripts wait in the wings (or in the external hard drive of my computer). Some of them will also one day (soon) get their time to shine, some never will. That’s the nature of publishing. It’s a tough business but I love it! But through it all, I never gave up. I KNEW I’d be published again one day. I knew this was the path leading to the purpose God has set out for me. So I persevered and here I am. A new novel! Champagne and book launches will be on hold until September, but for now, I will celebrate this milestone with a Coca Cola toast and a prayer of thanks. Order the pre release today! If you take the ‘subtle as a sledge hammer ‘ hint and go off and download my book, please leave a review. I’d really like to know what people think of my 5th book. Seriously, I would. Wow, I still can’t believe ‘she’s’ out there!!!!!!!! 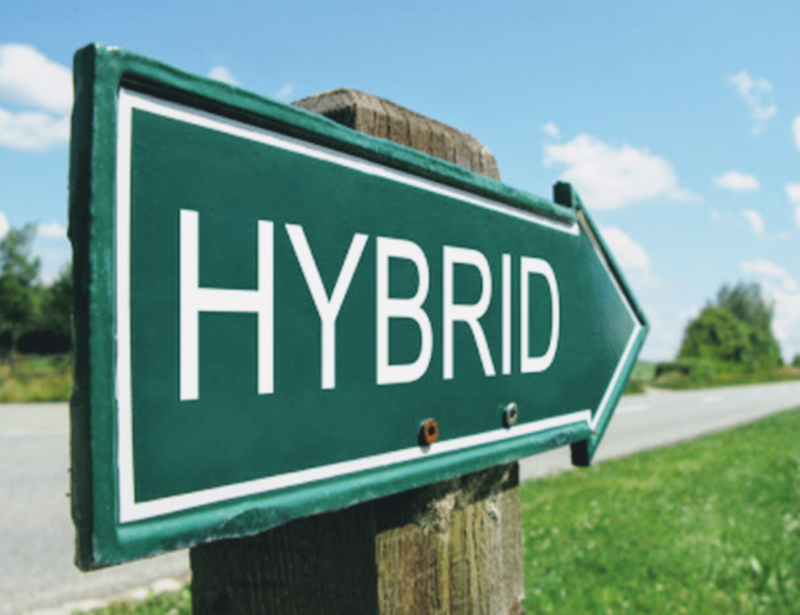 So, what’s a Hybrid Author anyway? It sounds like something developed in a lab by some fiction obsessed scientist, but simply put; this refers to an author who is both traditionally published as well as e-published. And that’s it. In a nutshell. Not exactly rocket science, is it? This book is such a labour of love for me and quite far removed from my usual work- which as you know, is currently commercial and historical fiction. Therefore this book would have to be released under a pseudonym (don’t worry I’ll let you know it’s me) if and when, no, WHEN it is published one day in the future. Basically, I am determined to see this book in print and would see self-publishing as an option. This isn’t because I don’t have confidence in a mainstream publisher picking it up… okay there may be some reservations from time to time… No, No. I am confident!!! Okay, internal fight over, here’s the thing: knowing I could one day self publish this weird and wonderful book is a back up plan that I am glad exists. It’s always better to have choices, right? 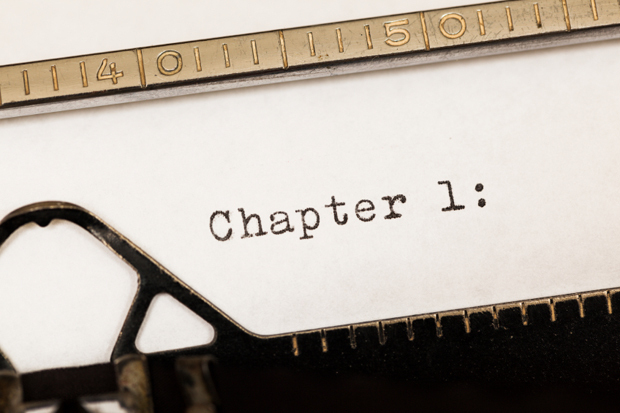 So as a published author, you now have the choice to either send the completed manuscript to your agent with the hope that s/he will sell it for a good or great advance or you can think about self-publishing as an e-book and/or a print-on-demand. These options do not erase the possibility that a traditional publisher might at a later date, buy and publish the book through the conventional publishing house route- you just never know. Stranger things have happened. 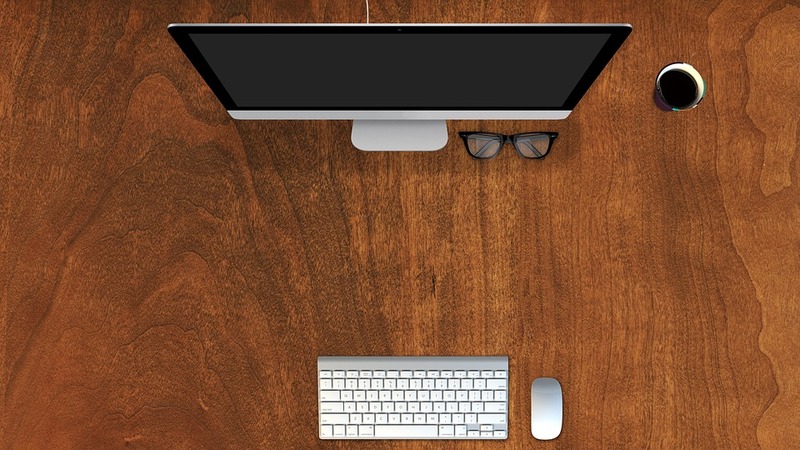 Similarly, you as a self published author are also free to explore the traditional publishing route. There are no set rules. 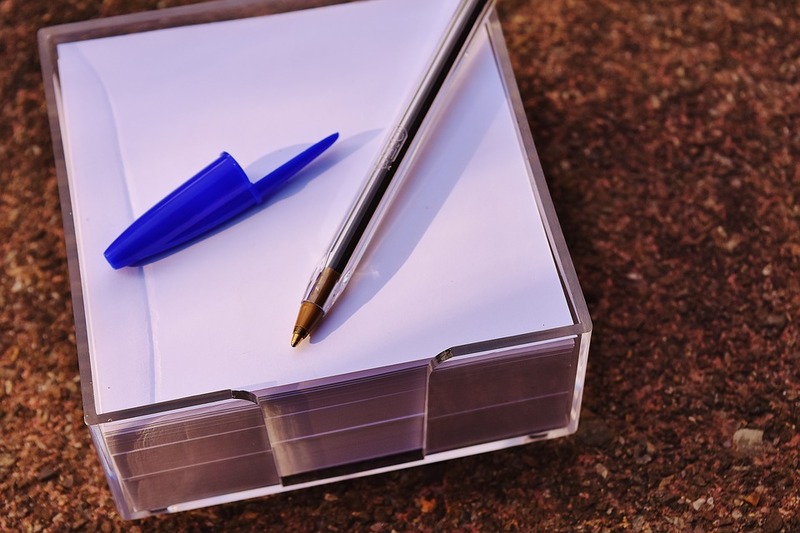 Hmm, there’s a lot to think about in the publishing arena and it’s always a good idea to read about and speak to other authors who have taken the hybrid route. As for my dystopian YA novel: the feedback has been very, very good. And between you and me, I could also see it as a Hollywood blockbuster movie. So, scriptwriters: call me! My Book Has a Cover!!!!! 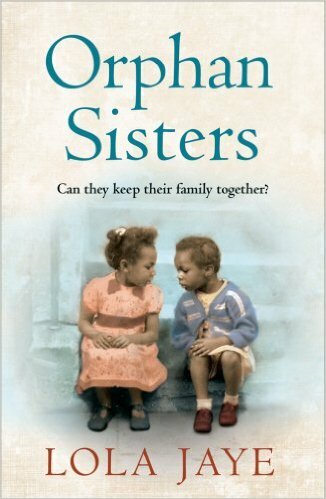 So my new novel Orphan Sisters is out in September… And here’s the cover!! Ooooooh, not long to go now! Wartime Sweethearts is out…. in TWO WEEKS! Subscribe to the my newsletter for up to date news & exclusive content. Copyright © 2017 Lola Jaye. All Rights Reserved. Designed By SIWY!